I had the pleasure of designing Panic! at the Disco's Death of a Bachelor album. Brendon Urie asked me to be apart of the project and I loved collaborating with him and the label throughout the creative process. The album (artwork) was well received by all of Panic! 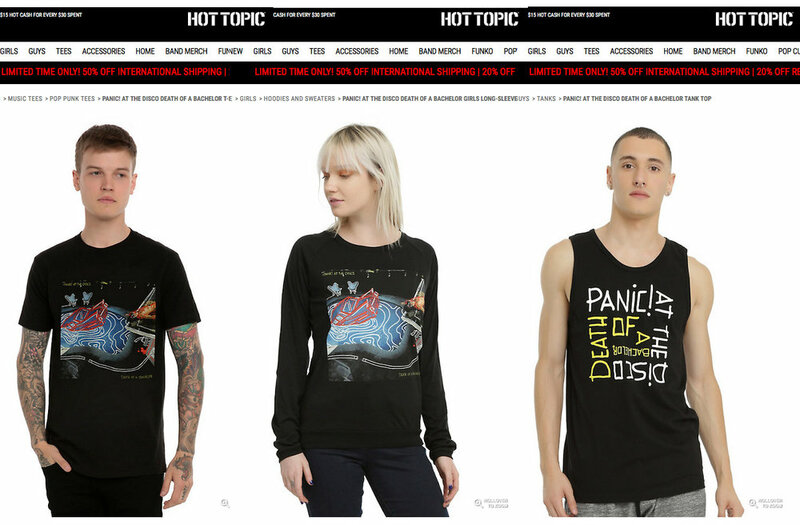 's fans and album artwork apparel was sold at Hot Topic. Death of a Bachelor was no. 1 on iTunes and Panic! hit its first No. 1 album on the Billboard charts. After the album had 4 gold single and went platinum, the album is was nominated for a Grammy for 'Best Rock Album'. Brendon Urie and I backstage at the album release concert of Death of a Bachelor.